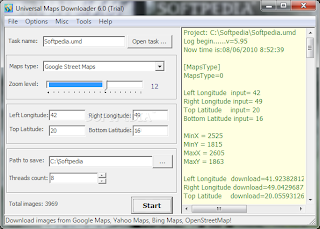 The interface of the tool consists of a standard window which is easy to navigate through, so you shouldn't have a problem getting around Universal Maps Downloader. The program uses a very low amount of system resources and includes a comprehensive help file with snapshots. 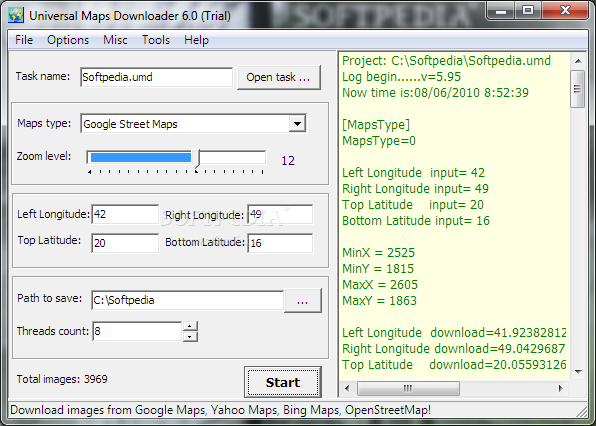 Also, Universal Maps Downloader completes a task in a short amount of time without popping up any errors. However, the demo version doesn't allow you to download high-quality images and you should be careful when naming tasks, because the tool automatically overwrites files with the same name (and you cannot disable this option).